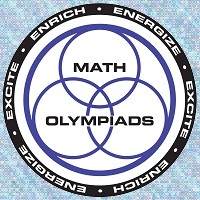 These Math Olympiads for Elementary and Middle Schools (MOEMS) are five monthly Math contests, administered from November through March each year. It is a Math Problem solving contests for teams of up to 35 students in grades 4 through 8. The highlights for students are the five monthly contests, administered from November through March. They become excited by the immediate feedback received from other students all around the globe. Students sit for a math exam for each contest. Contests are taken in the participating school. Each contest consists of five nonroutine problems. Every problem requires careful mathematical thinking and has a time limit. Each student, working alone, scores 1 point for each correct answer. Thus, a student may score up to 25 points per year. When a problem introduces a more advanced concept, all necessary definitions are included. The detailed solution for each problem usually names the strategy required. Many solutions include follow-up problems and activities. After each contest, results are submitted to us for score-keeping. Our records will determine which awards are to be shipped after the last contest. Only schools or homeschool associations, not individuals, may participate. Each team competes in just one division. Teams with members from more than one school are called "District Teams" or "Institute Teams" and are not eligible for team awards. The team score is the sum of the ten highest individual scores, taken after the fifth contest.